Major League Baseball is officially one month into the new season. While 2014 as a whole had a bumpy start (there was still snow on the ground in a lot of ballparks on Opening Day), now that it’s in full swing, you realize why it’s America’s pastime. There have been walkoff home runs, pitching duels, and just all-around good baseball. But there have also been some surprising developments in this young 162-game season. Keep in mind that a lot can happen — we’re barely even one-sixth into the 2014 season. What might be a new revelation now could end next week. And besides a slew of injuries that are always occurring and are always just a game away, the surprises this year have been more about the players on the field and what they have accomplished thus far — or not accomplished, in some cases. There will be slumps,and there will be hot streaks: it’s the ones that maintain those hot streaks that are the true surprises. So without further ado, here are four surprises from baseball’s first month. When Kansas City traded for James Shields two years ago, the team was taking a strong stance to shore up its pitching staff and become a contender. Shields would become the Royals’ No. 1 starter in the rotation – in other words, their ace. He currently is that: he’s 3-2 on the year with a 2.03 earned run average. The Royals’ pitching starts and ends with Shields, but that was expected. The surprise comes from the rest of the rotation. 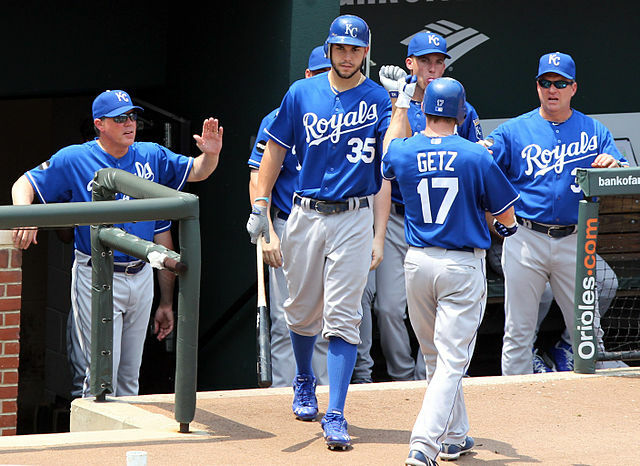 The Royals have three of the top-10 ERAs in the American League. Jason Vargas is 2-0 with a 2.40 ERA and an even more impressive 1.09 WHIP (walks and hits per innings pitched). While Vargas has never been a slouch, these numbers aren’t the norm – just look at his career 4.22 ERA. Even ahead of Vargas is rookie Yordano Ventura, a player who’s been a true surprise, since he was relatively unknown on the national stage. In his first four starts, he has a 2-1 record and 1.80 ERA. Sure, some of these numbers won’t hold for the entire season, but regardless of future expectations, the Royals currently have one of the best starting rotations in the majors. Veteran Jeremy Guthrie currently brings up the backside of the rotation, and despite his 4.22 ERA, his 2-1 record and 1.28 WHIP are more than adequate. This doesn’t appear to be a onetime event – the Royals are here to stay, and they’ve got the pitching to do it. A year ago, Milwaukee finished the regular season with a 74-88 record – not terrible, but the Brewers also finished dead last in the NL Central. Sure, they didn’t make a ton of noise in the offseason, but they added just enough to make a noticeable difference alongside some guys from last year playing much better. First off, the Brewers’ starting rotation has performed much better than expected (not too dissimilar from Kansas City). The entire staff has a combined ERA of 2.59, and the starting rotation, 2.86. Yovani Gallardo has been more than dominant: he’s been nigh unhittable. And the return of Ryan Braun has immensely helped the offense. Braun has the team’s best batting average (.318) and also the most home runs (6). Aramis Ramirez, meanwhile, has been a RBI machine — his 19 base knocks are almost half of his entire season total a year ago in 96 games. Milwaukee’s unexpected production from some of its less-heralded players will almost assuredly drop off. And when it does, the Brewers probably won’t maintain their current winning pace, which would put them well north of 100 wins. 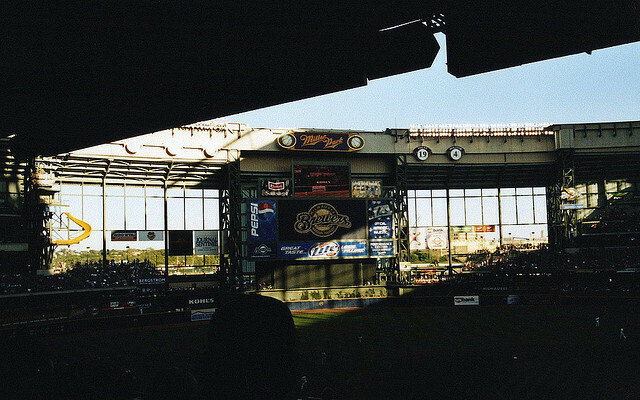 But until then, there’s no doubt that the Brewers have surprised a few people. Pujols signed a colossal $240 million contract over 10 years two years ago. When he signed the contract, he was 32 years old, meaning the Angels would be paying him $20 million-plus into his 40s. Needless to say, people considered it foolish. Those same people appeared to be proven correct a year ago, when the slugger suffered slumps and injuries, resulting in him appearing in just 99 games and hitting just .258 with 64 RBIs. Both were career lows. However, this was after a 2012 season — his inaugural year with the Angels – that wasn’t atrocious, but still not his usual above-.300 batting average and 100-plus RBIs. While it seemed like he would eventually return to form (after all, he is the machine), he was declining over the past two seasons, and after 2013, it looked as if it might only get worse. 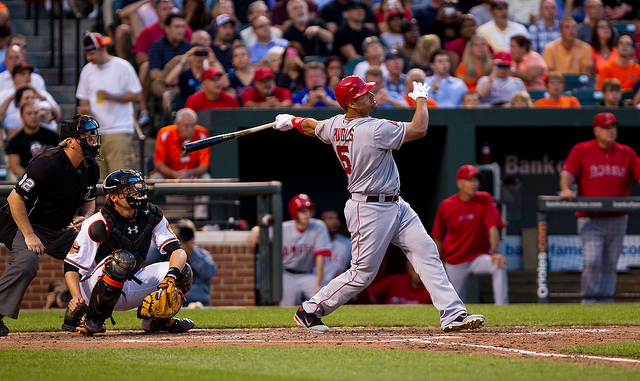 Pujols has turned away any doubters, though — quickly, one might add. His .282 batting average is still a little down from his career numbers, but his 9 home runs and 22 RBIs so far put him well on pace for another big year. While the contract still might prove to be a foolhardy one from the Angels’ perspective, it doesn’t look that way right now. First, it was Stephen Strasburg in 2010. Though the Washington Nationals ended up limiting his innings to prevent injuries in his inaugural season (he would later get hurt anyway), there was no doubt that he was a future ace. His ERA was down and his strikeout rate was up. Then, two years ago, it was Japanese sensation Yu Darvish, who dominated from start to finish as a rookie pitcher for the Texas Rangers. And during this early season, there have been two rookie pitchers who appear to be in it for the long haul: the Yankees’ Masahiro Tanaka and Kansas City’s Yordano Ventura currently sit in the top-10 best ERAs of the AL. Although Ventura appeared in three games a year ago, he wasn’t a fixture on Kansas City’s roster, but he is now. In four starts, he has a 2-1 record and 1.80 ERA in 25 innings pitched. 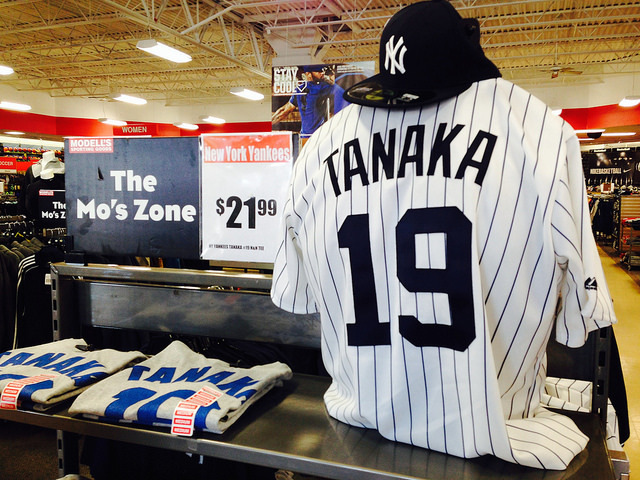 While Tanaka’s ERA is a bit higher, at 2.27, his 3-0 record on the year is among the league’s best. Both of these young guns are built from the same mold as rookie sensations before them — they have excellent stuff, a high baseball IQ, and strong enough mechanics where there aren’t not any big fears about their future health. But just like any young player, success will come and go. If they can maintain this streaky start, don’t be surprised to see them on the Cy Young ballots come this fall.